e Rigid Industries RI-600� is the smallest in the RI-Series family, but it packs a powerful punch with up to 680 raw lumens in a pocket-sized package. anks to cutting edge LED technology and a machined aluminum reflector, the RI-600 is capable of projecting a beam over 500 feet (165 meters). With a type III military grade hard anodized aluminum housing, thermally regulated circuit board, polycarbonate lens, and sealed construction, it can withstand years of use in the most demanding environments. Backed by a Limited Lifetime Warranty. Industrial-strength flashlight provides dependable, distortion-free light with a vacuum metalized reflector. Unbreakable lens and a 250,000-cyce switch ensure longevity. Case is crush-resistant and deep-ribbed for a non-slip grip. 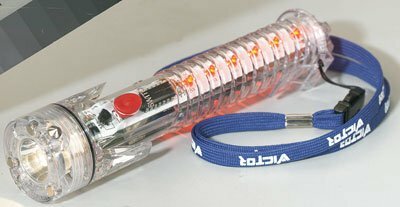 Anti-roll tube means flashlight stays where it's placed. Lens ring accepts snap-in wands (SOLD SEPARATELY). 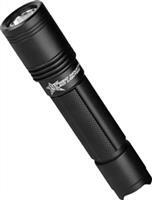 Battery Type: Alkaline; Flashlights Type: Standard; Power Source(s): 2 D; Bulb Type: Krypton. A light for everyday use. This easy-to-carry flashlight uses a krypton bulb for top-notch efficiency. It's water-, chemical-, oil- and grease-resistant, plus it can handle drops of up to 7 feet. 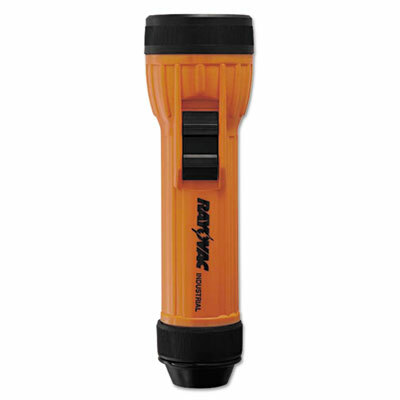 A durable flashlight with this much power comes in handy for a number of tasks. Battery Type: Alkaline; Flashlights Type: Standard; Power Source(s): 2 D (Sold Separately); Bulb Type: Krypton. 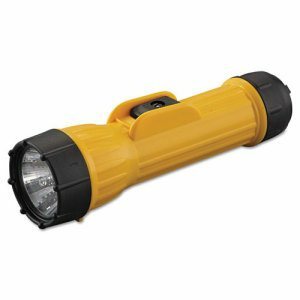 Serious amounts of light demands a serious flashlight, and the RI-1100� is just that: it packs 1100 raw lumens on High and over 1,000 feet (318 meters) of projection while still being a highly portable 8.6 inches long. e type III military grade hard anodized aluminum housing and sealed construction have been tested against shock, vibration, sun, salt, and moisture, ensuring years of trouble-free operation. Like the rest of the RI-Series line, the RI-1100 has a thermally protected circuit board, polycarbonate lens, and a tactical bezel. Backed by a Limited Lifetime Warranty. Safe, reliable light in all conditions. This chemi-luminescent technology allows Lightsticks to be used as warning lights, marker lights, signal lights, dive lights or safety lights as well as dozens of other applications when camping, fishing, hunting or hiking. One (1) Glow Stick included. 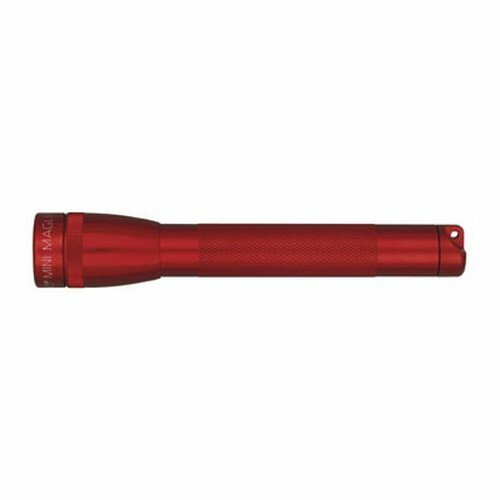 Never fear the dark with this sturdy, high-intensity flashlight. Recessed push-button, self-cleaning switch has three positions: On, Off, Signal. "Spot-to-flood" beam gives precise focus with a twist of the head. Rugged, machined aluminum case with knurled design provides a firm grip. Flashlight is shock- and water-resistant. Compartment inside tail cap holds a spare lamp. 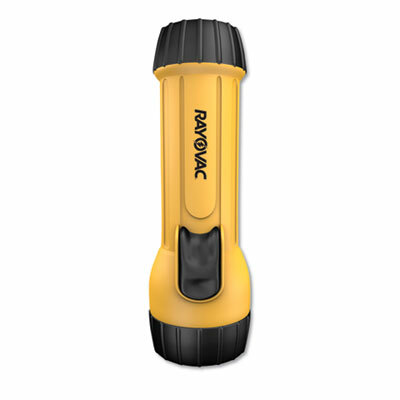 Battery Type: Alkaline; Flashlights Type: Standard; Power Source(s): 3 D; Voltage: 4.5 V.
Industrial safety flashlight features high-impact polypropylene construction � passes 7-foot drop test. 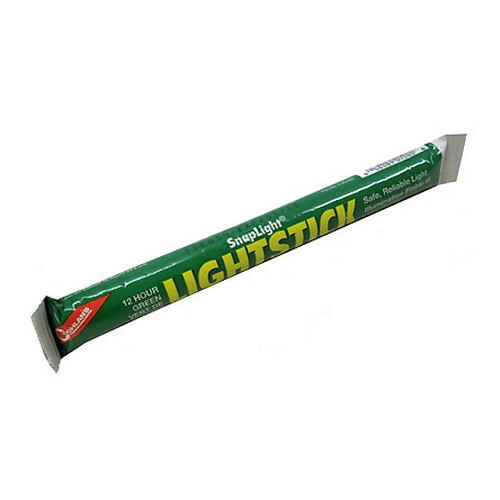 Resists chemicals, oil, gasoline, grease, water and corrosion. Shock-resistant, spring-mounted bulb with barrier wall enhances durability. Built-in circuit breaker disconnects batteries in cases of bulb breakage. Protected slide switch prevents accidental lighting. MSHA, CSA and UL listed. 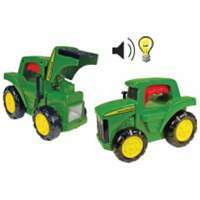 Battery Type: Alkaline; Flashlights Type: Safety; Power Source(s): 2 D (Sold Separately); Bulb Type: PR-2. 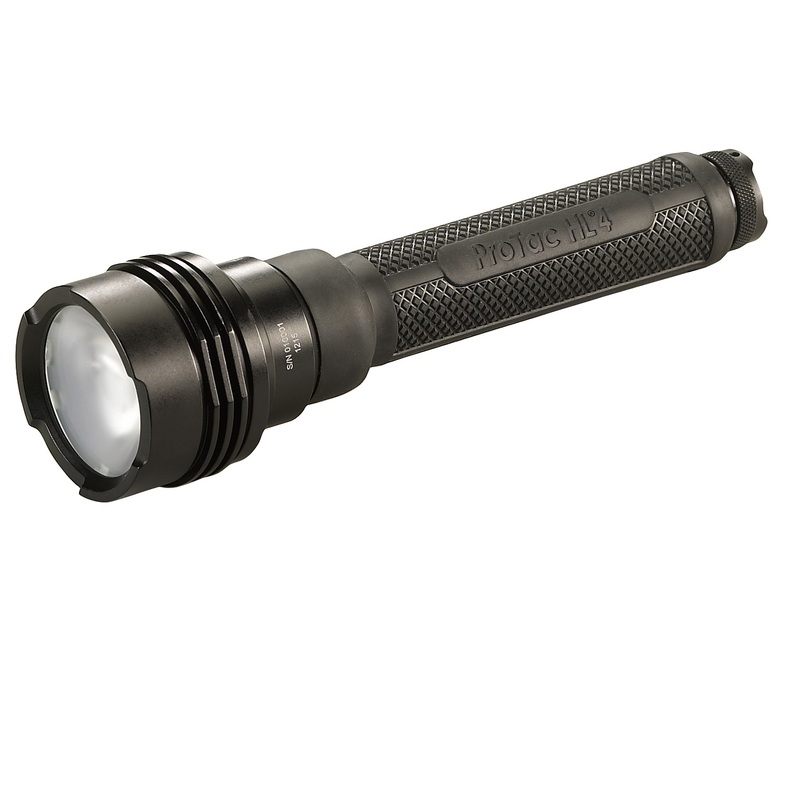 With 2,200 lumens of blinding light, the ProTac HL4 is the brightest addition to the ProTac series. 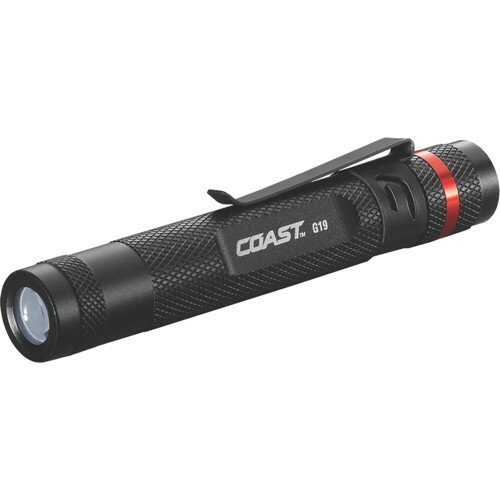 The ProTac HL4 offers powerful LED technology and three different userselectable programs. The light will accept two battery types, four CR123A batteries or two Streamlight 18650 Li Ion rechargeable batteries. The output from the C4 LED results in one of the brightest tactical lights available. The G++sure grip rubber sleeveG+- and included lanyard ensures youG++ll never lose your grip. Overall length of 5.75 in. Weight with battery of 3.78 oz. Battery life continuous on time of 6 hours. 3.0 volts of battery output. 8.94 in. of high-strength aluminum alloy cases in black. Has two high intensity White Star Krypton Gas Lamps for enhanced billianc4e and extended range for lamp life of 36 hours 10K Peak Beam Candlepower continuous battery life of 5 hours. Takes 2-C size alkaline batteries. Weighs 15.70 ounces with battery. High-intensity light beam. 1/2 turn, twist focus, spot-to-flood. Patented candle mode. Spare lamp. O-ring sealed for water resistance. Vented tailcap. 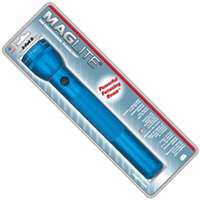 Battery Type: Alkaline; Flashlights Type: Mini Maglite; Power Source(s): 2 AA (Included); Bulb Type: Incandescent. 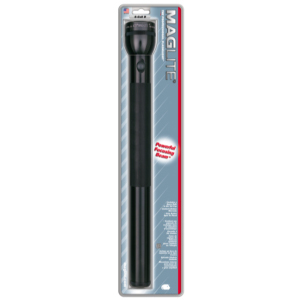 MagLite Solitaire flashlights feature a linear focusing adjustable beam that twists from an intense spot to a brilliant flood with a turn of the head assembly. 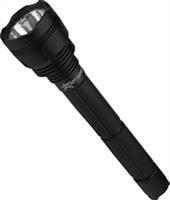 Mini MagLite Solitaire flashlight weighs less than an ounce and is about three inches long. 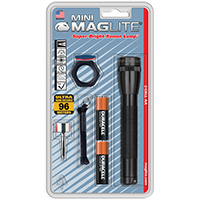 MagLite Solitaire flashlights include: energizer alkaline batteries, a spare lamp, and a sturdy key lead that makes it ideal for a key chain or purse. 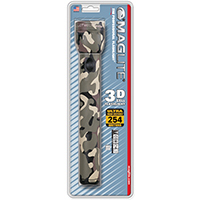 - Overall Length: 3 3/16"
Made with the finest aircraft aluminum, the Mag AA Mini-Mag Flashlight possesses an exceptionally durable body that is machined to exacting tolerances. A set of O rings at each opening ensure a Maglite is resistant to water and steadfast in its ability to withstand shock. 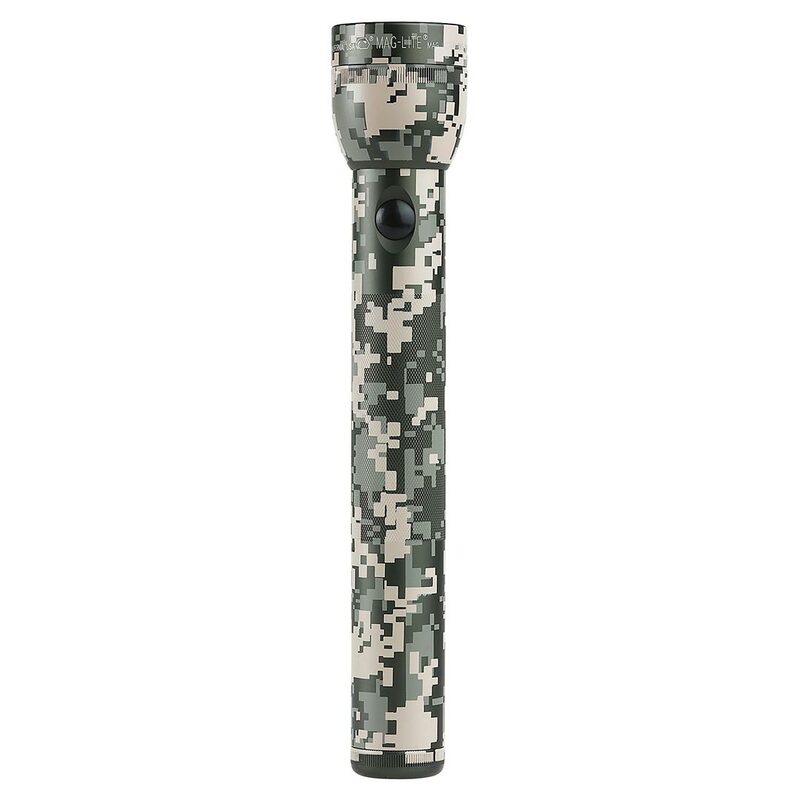 The light has an anodized finish inside and offers optimum corrosion resistance and prevents battery damage, and a knurled handle for a better grip. The Mag Instrument AA Mini Mag has a candle mode feature for convenient hands free light whenever you need it. The fast focus beam adjusts from spot to flood with the turn of the head. The self-cleaning switch eliminates oxidation. The Mini Mag light comes with batteries, and extra bulb in the tail cap. 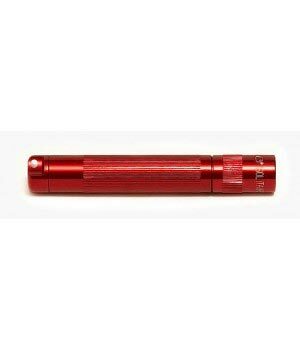 Mini Maglite AA flashlight is available as a package containing batteries and a rugged polypropylene belt holster. 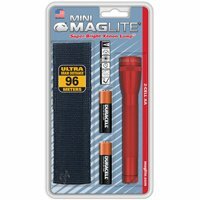 Mini Maglite AA combo pack flashlight is available as a package containing batteries a rubber anti-roll device, pocket clip, wrist lanyard and batteries. 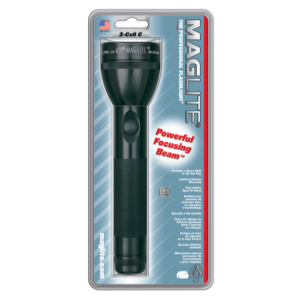 Every Mag-Lite flashlight embodies a precise balance of refined optics, efficient power, durability and quality. 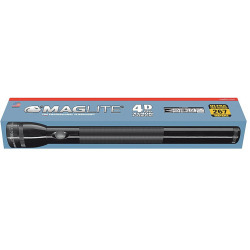 Each Mag-Lite D-Cell flashlight includes two high intensity White Star Krypton Gas Lamps for enhanced brilliance and extended range. The distinctive shapes, styles and overall appearances of all Mag flashlights, and the circumferential inscriptions extending around the heads of all Mag flashlights are trademarks of Mag Instrument, Inc. The circumferential inscription on the head of every flashlight signifies that it is an original Mag flashlight and part of the Mag family of flashlights. U.S. 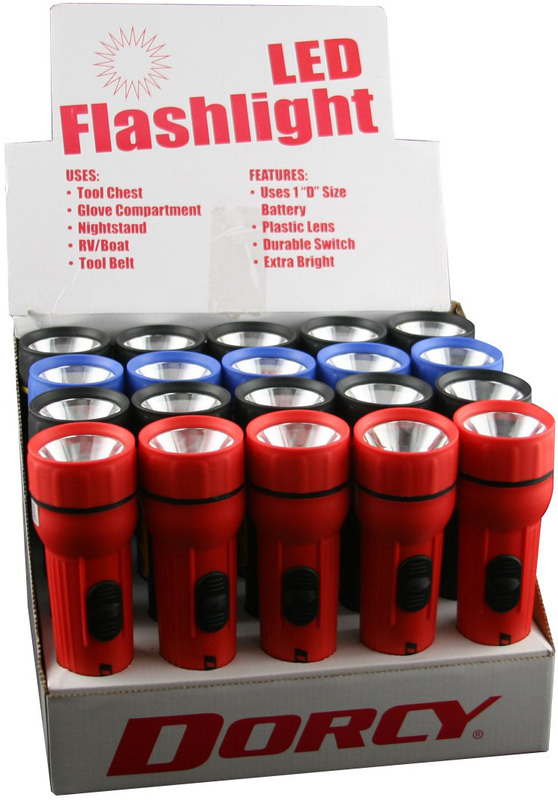 Trademark Registrations for the shape, style and overall appearance trademarks of Mag flashlights and for circumferential inscription trademarks of Mag flashlights include Nos. 1,808,998; 2,074,795; 2,687,693; 2,745,460; 2,765,978 and 2,765,979.